A year ago today I took that crazy leap into bettering my health and sat in the pre op room waiting for my doctor to arrive. A year ago i decided to take a serious look at my health and did something drastic about it. Facing issues with PCOS, high blood pressure, pre diabetic, insulin resistance, stress i knew that i had tried and failed one too many times. It wasn’t an easy decision to decide to have LapBand surgery but i felt i had no other way to turn. My doctors had prescribed medication, i had tried personal trainers, dietician, hypnosis and a slew of other things. Finally being told by my endocrinologist that my body was just working against me and that without intervention it would get worse. I still enjoyed obstacle races and hiking but it was getting harder by the day and i felt myself changing internally for the worse. So i took out a hefty loan and went for it. Today is my one year anniversary. I’ve lost 52 lbs and went from a size 24/26 to a 16/18. 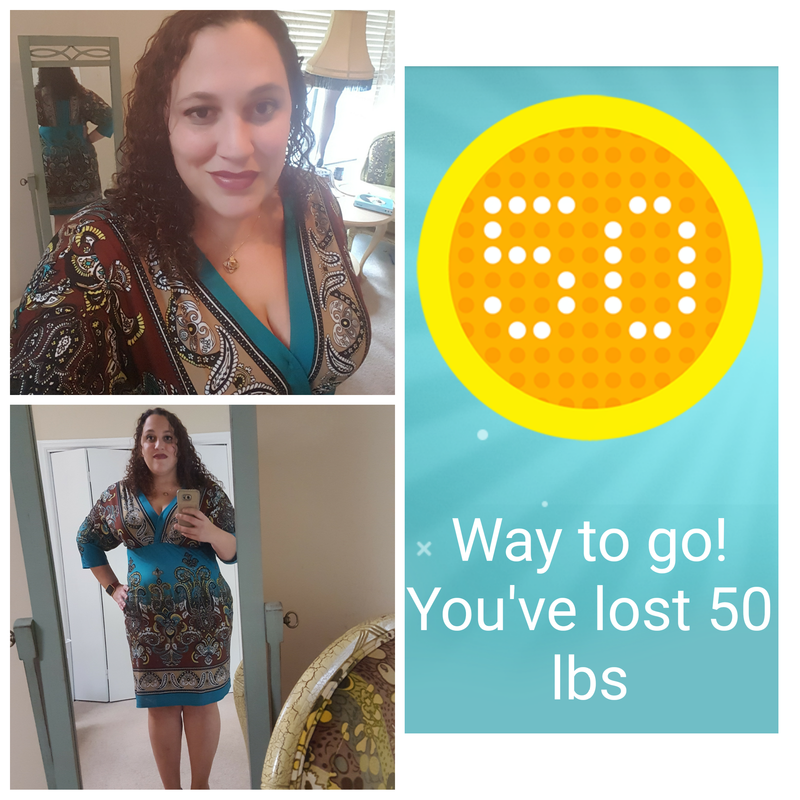 You might be thinking “wait if she had weight loss surgery a year ago, shouldn’t she have lost a whole lot more than 50 lbs?” And my answer to that is No. First the science. I have a metabolic syndrome, polycystic ovarian syndrome and in insulin resistant. All that combined in laymen terms means that it is so easy for me to gain weight but takes a thousand times more effort for me to lose a lb. The other part of the answer is that LapBand surgery is different from the other surgeries. With LapBand a silicone band is placed around the stomach that connects to a port that is sewn into a muscle. The band has little pillows that the doctor adjusts with saline. It can restrict the amount of food and allows me to learn portion control and better food choices. My stomach is not cut or re-routed. Because it is less drastic the weight loss expected for my surgery is about 1 -2 lbs a week. So 52 weeks and 52 lbs down. Now I also chose this surgery because I wanted the slower weight loss. I know, crazy right? But seriously i wanted out to be paced so my skin would have time to shrink down with it and the chances of my excess skin being out of control might be minimized. Another reason was simply, i didn’t have the surgery to be super skinny. Miss Hawaiian Tropic 2017 was never on my radar lol. I wanted to live and have a better quality of life. I wasnt suffering from self-esteem issues, i still considered myself to be attractive and i knew that being skinny wasn’t going to be the key to success. What was going to be the key was how i thought and handled this process. And that all starts with the mind and heart. So I’m quite proud of the 50 lbs and i have a quite a bit more to go to make sure that physically I’m at my best so i can do the things i love and be here to meet my future grandchildren one day. So cheers guys. It’s been a helluva ride and I can’t wait to see what’s next. I saw your post on fb and clicked on the link to read your post. I had to think about it and some time this week is my 1 year banded anniversary. I cant remember when (how bad is that). Having PCOS myself I needed the surgery because I was losing the weight battle. I have lost 22kgs (47 pounds) and I couldn’t be happier. This is actually my goal weight. I wanted to be the weight I met my husband at and i have achieved it with this beautiful band. I have 75ml in my band. I don’t throw up (maybe once every month). I’m not scared to go to a restaurant coz every who I go to a restaurant knows I have had the surgery. You get used to eating cold food. I love my band and i by your blog you do too. My new goal is to lose another 7kgs (15ish pounds)by October for my sisters wedding.